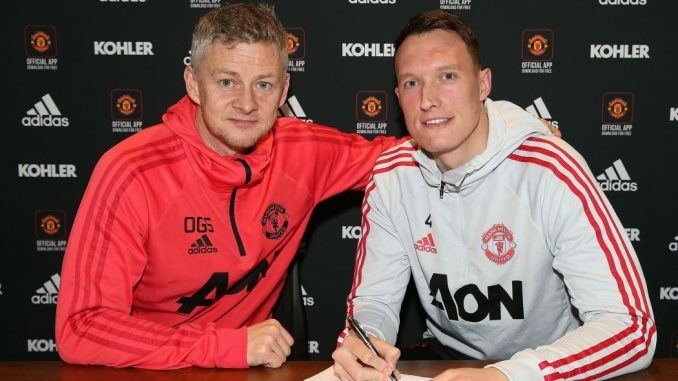 Manchester United star Phil Jones has penned a new contract with the Red Devils, committing the star to the Old Trafford club until June of 2023, the club have confirmed. The 26-year-old England international centre-back has featured regularly since interim coach Ole Gunnar Solskjaer took over at the club. Manchester United have the option to extend the new contract by a further year if they wish. His existing deal was set to expire this coming summer. Phil has played 208 times for the club and netted five goals since he arrived from Blackburn Rovers in 2011.